Does eating less really help weight loss? HomeWeight lossDoes eating less really help weight loss? Appetite suppressants have become increasingly popular amongst the millions of people looking to lose weight. One can presume that the reason these drugs and supplements are so popular is because they help curb hunger cravings so common amongst overweight people. By taking an appetite suppressant, it is much easier to maintain a low-calorie diet which is needed for weight loss. Nutritionists do warn that even the best appetite suppressants are not going to help weight loss unless the amount of calories consumed is less than those expended. Ideally, weight loss should occur from calorie reduction and an increase in activity – not just one side of the equation. Attempting to lose weight just with calorie reduction is not only less effective than a multimodal approach, but also can cause serious health problems. As many appetite suppressants come with the risk of side effects, using these weight-loss aids can be deleterious to one’s body. Food is required in order to supply fuel for all of our daily functions from muscle activity to heating our bodies. When we do not have enough food to fuel our bodies, then the body will start breaking down fuel reserves. Ideally, weight loss occurs when the body breaks down fat for energy. However, there are some situations in which the body may break down muscle mass for fuel instead. In incidences of severe starvation or in which fat isn’t available, the body may even break down organs instead. So how does one make the body break down fat instead of other tissues? The body is designed with mechanisms for controlling our energy expenditures. While these mechanisms are very complex, they always utilize the most efficient modes for the situation at hand. For example, when the body is deprived of food but requires a quick source of energy (such as exercising on an empty stomach), it will break down the tissue which provides the most energy with the least amount of effort: muscle. Conversely, if you provide the body with a source of fuel and then you exercise, the body will first burn off these calories. If more calories are needed to fuel the activity, then the body will begin to burn off fats. Crash dieting – or diets which drastically reduce calories for a set period of time – can be very effective in helping weight loss. However, this doesn’t mean that they will be effective in fat loss. Often, crash diets will trigger the body to break down muscle instead of fat. Many dieters do not realize how important lean muscle mass is for their overall weight control. Metabolic rate is determined by many factors, one of which is body mass. One pound of muscle mass will burn more calories daily than a pound of fat. When you lose muscle but maintain fat, your metabolism will go much slower. This is just one reason that so many people will quickly gain weight back after a crash diet and often gain back more weight than they lost. You can read more about metabolism and weight loss here(the truth about metabolism boosters). Diets which severely restrict caloric intake to the point of starvation can have even worse long-term effects on the body, especially in terms of weight maintenance. When the body becomes starved, a natural survival mechanism kicks in. The body will start to slow down its functions, like slowing metabolism to make sure that all available energy lasts longer. When the dieter starts to eat normally again, the body will not be able to handle the increased amounts of food. Instead of using the food efficiently for energy, the slower metabolism will cause more of it to be stored as fat. When this is combined with loss of muscle mass, metabolic rate can drastically suffer to the point that weight gain is inevitable. 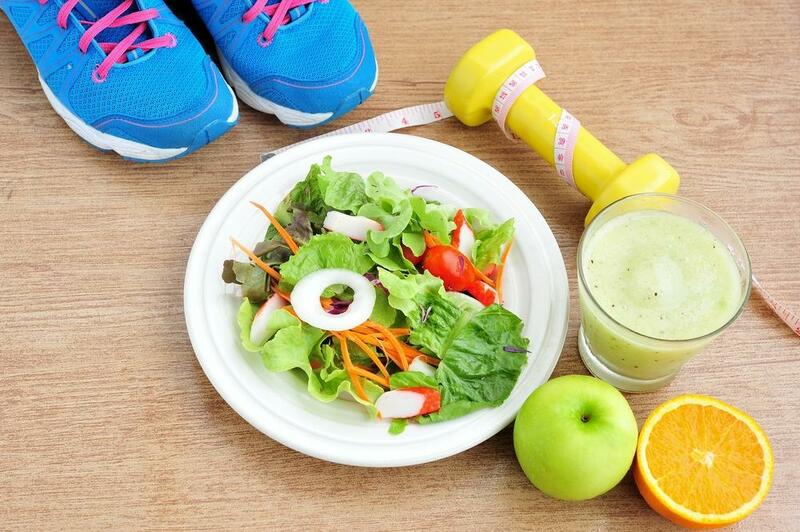 In order to lose weight healthily, you must reduce calories and burn more calories. By trying to lose weight by only focusing on one side of the weight-loss equation, you could end up causing a lot more harm to your body than good – and ultimately not succeed in your long-term weight loss goals. Nutritionists are quick to point out that these sorts of diet plans only work if you eat more healthy foods – not just eat more in general. By adding more servings of low-calorie and high-nutrient foods like fruits, vegetables, whole grains and lean meats to your daily diet, you can keep your metabolic rate going fast, support muscle mass, and still get fewer calories than on a junk-food diet which consists of less food.